If you live in Walthamstow E17 and it’s time to say goodbye, farewell, auf wiedersehen or adieu to your DIY and builders waste – we’re the team you can trust. 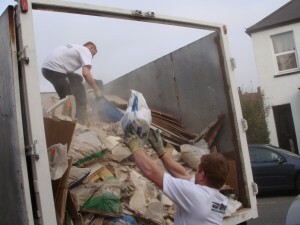 We’ve been supplying builders waste removal Walthamstow residents and building companies rely on for quality and flexibility for more than a decade. And you’ll love our prices too! Our friendly, uniformed, two person teams work from 7am – 11pm every day of the week. As if that’s not dedication enough they also work hard to reuse or recycle 80% of the waste they collect in Walthamstow E17 – helping to reduce waste to landfill. Just call us up, and we’ll give a convenient two hour time slot for us to call – there’s no waiting in all day for our service and we can even do it on the same day. We’re more than happy to provide a no pressure, totally free quote. We only every charge you for the space your waste uses in our van. Our prices include all labour, transportation and disposal fees so there are no hidden extras. And we guarantee our prices are among the lowest on the market. We’ll use our own dust sheets if we’re carting waste through your home, and give the place a sweep and tidy before we leave too! 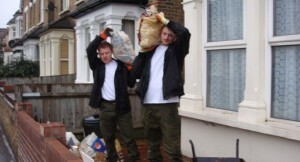 To find out how we can save you time, money and hassle with builders waste removal Walthamstow E17 just give us a call on 0208 504 7390 or 07957 123019. Our team will be happy to answer your questions and provide a competitive quote. Or use our simple and straightforward online enquiry form and we’ll get back to you in a flash!